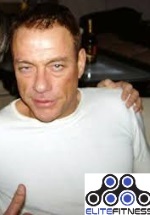 Jean-Claude Van Damme is a Belgian actor, martial artist, and film producer. He is best known for acting, writing, and directing D-rate action movies throughout the late 80's and 90's. 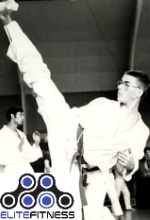 His kickboxing record is 18-1, and he holds a 2nd Dan Black Belt in Shotokan (a style of karate). Van Damme's full name is Jean-Claude Camille Francois Van Varenberg. He was born in 1960 in Belgium, and is the son of a florist and accountant. His father put him in Shotokan karate school at 10 years old, and he learned kickboxing. He also studied ballet for 5 years as a teenager, and he credits this to giving him a unique advantage of balance and endurance. Weight training was also something he did to get his body stronger, and he was so talented that he won the Mr. Belgium bodybuilding title. At 18, he already earned a black belt in karate and also worked on Taekwondo and other martial arts like Muay Thai. 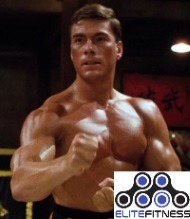 As an amateur karate competitor Van Damme went 44-4. He also won the European Karate Championships in Brussels. He participated in a 3-day tournament called the 'Challenge Coupe des Espoirs' and crushed 25 straight opponents - making it to the end but losing to his teammate. His full contact career resulted in 18 knockouts with just 1 loss. He finished his martial arts career in 1982 and moved to the United States to chase his dream of becoming an actor. Chuck Norris was a D-rate action actor of the era who befriended Van Damme and let him bounce at his bar called Woody's Wharf. 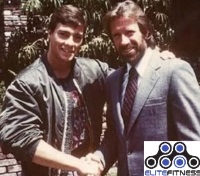 Van Damme did some minor roles in some of Norris's movies as a stuntman or an extra. His first big movie role came in 1986 when he was cast as a Russian bad guy who bullies a young American. The movie was universally panned because it pretty much copied the script of "The Karate Kid," which was released 2 years prior. During the filming of the movie, Van Damme was too aggressive with the stuntmen and actors during the fight scenes, leaving some seriously hurt. In 1988, he would break out with a role as a US Army Captain who fights for his mentor in an illegal Hong Kong martial arts tournament. The cheesy and predictable script was a big hit because Van Damme was both good looking for the ladies and exciting for the men. The movie would earn $70 million vs. a $2 million budget and make Van Damme a sought after action star. Afterwards, Van Damme was offered multiple movies to star in but chose Cyborg, which was universally panned due to poor acting and plot. The movie was extremely low budget but still made about $10 million. Another movie he played in that did well was Kickboxer in 1989. It made $65 million worldwide on a $3 million budget. One critic called the movie "The dumbest action picture of the year," and other critics lambasted Van Damme as a 'low budget Arnold Schwarzenegger wannabee' who simply cannot act. Next for him was "Death Warrant," a movie about an undercover cop who gets put in prison next to a serial killer. Another was "Lionheart," which was a big hit among his fans. Both movies made a hefty profit on a small budget. Action fans would love the movie, and it ended up breaking the $100 million barrier, making it officially a blockbuster. 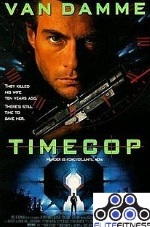 In 1994, he starred as a time-traveling cop trying to save his wife in the movie "Timecop", which topped $100 million and was his highest grossing film. 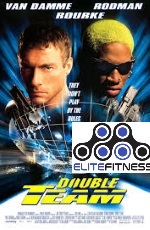 His luck would run out when he starred with NBA player Dennis Rodman fighting crime in the movie "Double Team". The movie bombed at the box office, losing over 20M$ and also won 3 Golden Raspberry Awards (given to honor the WORST movies of the year). The original video game "Mortal Kombat" was created based on Van Damme's fighting style and appearance. The German "Donkey Kong" video game has a hero named Jean-Claude Van Kong. Van Damme admits that during the 90's, he was so stressed by working so hard on movies that he was spending $10,000 per week on cocaine, and on some days it was 10 grams per day of use. He tried rehabilitation, but it did not work for him, so he tried to quit cold turkey. It was later revealed that he was extremely bipolar and had crazy mood swings from morning to afternoon. 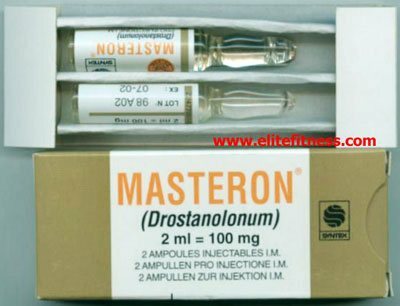 He takes medication for the condition. His personal life is a mess. He has had 4 wives including bodybuilder Gladys Portugues, whom he cheated on with actress Darcy LaPier whom would become his next wife. He then would cheat on her too with another actress he met during a movie filming. *DISCLAIMER: The cycle above is our opinion on what Jean-Claude Van Damme could have used, this is for information and entertainment purposes only. There is no direct evidence that Jean-Claude Van Damme used steroids or any other drugs.